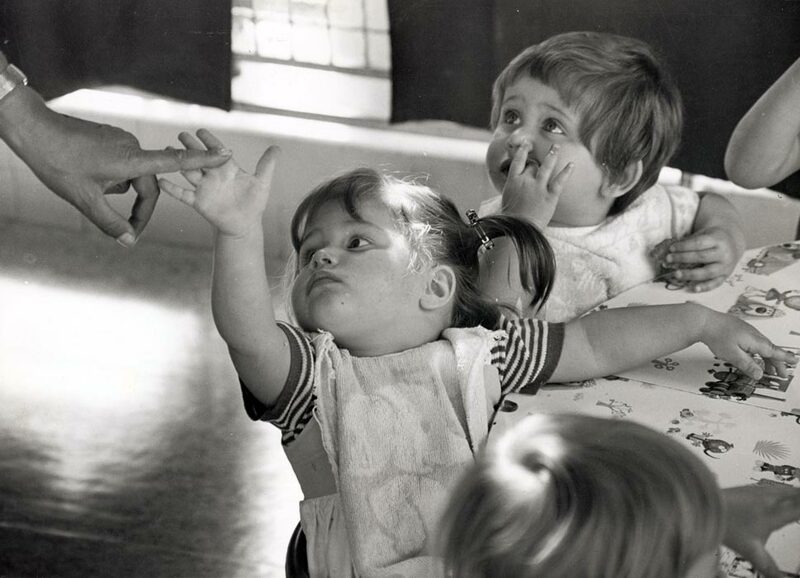 A young refugee boy in a soup kitchen holds a bowl to receive food at a JDC-supported facility. 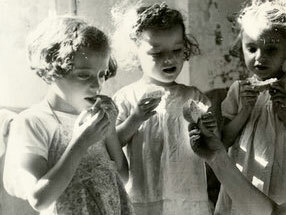 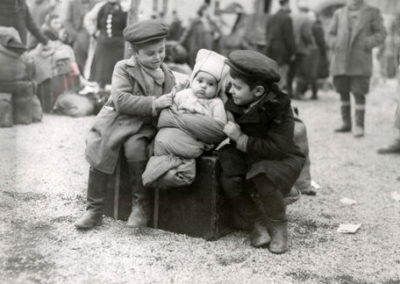 Following World War I, JDC assisted Galician Jewish war refugees in Vienna. 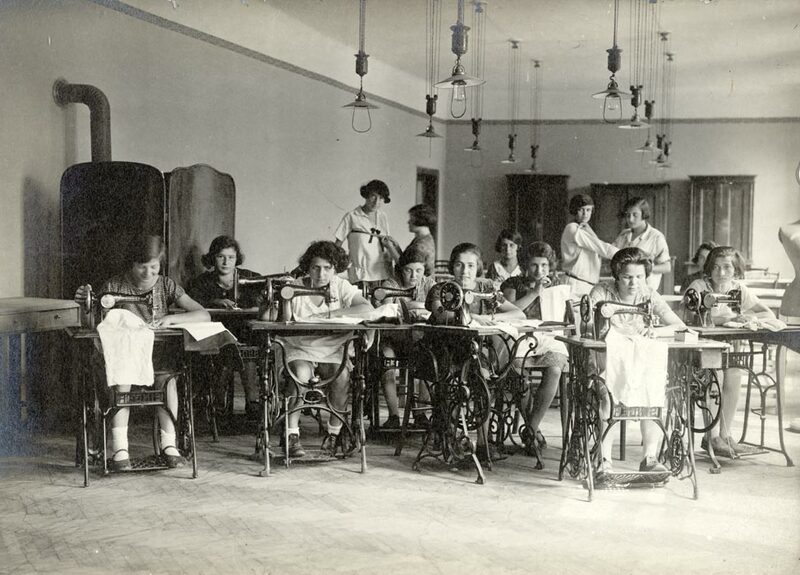 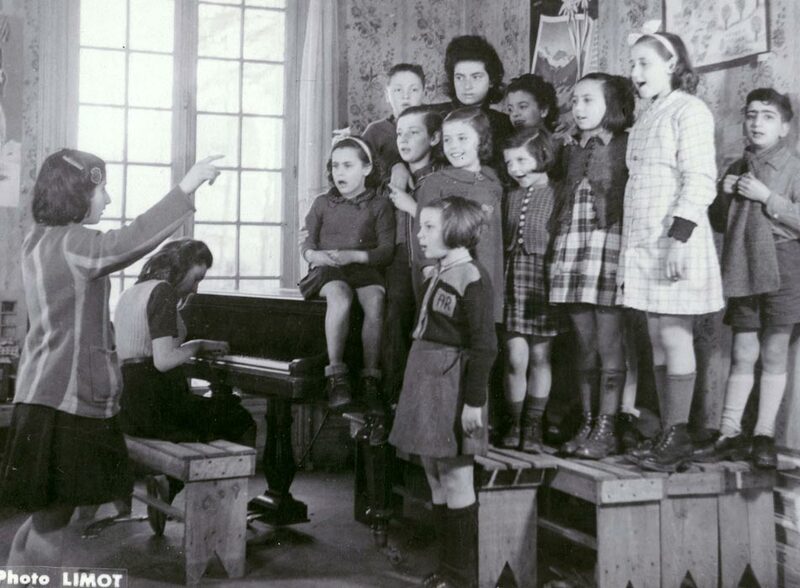 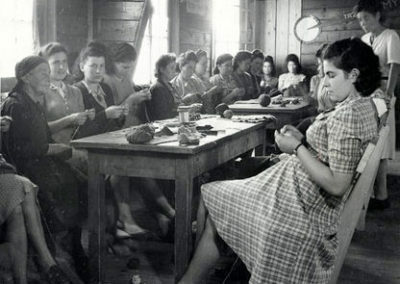 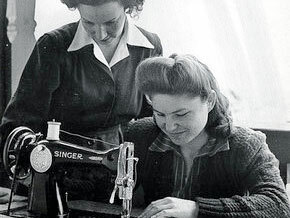 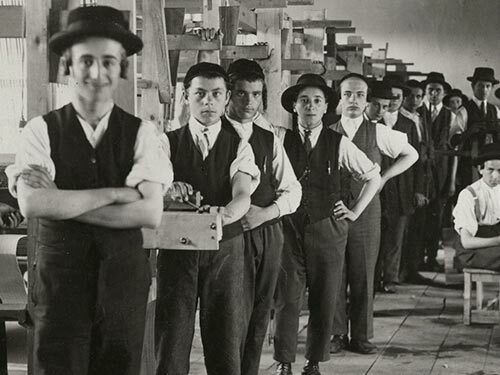 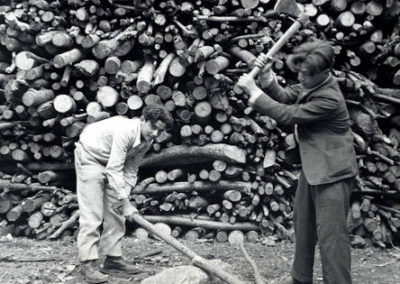 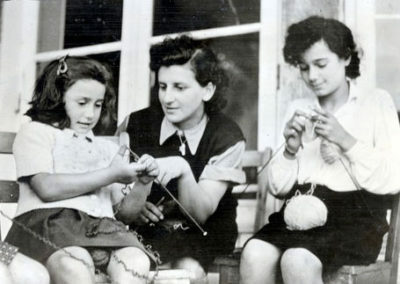 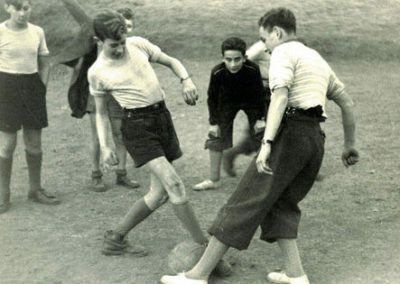 With the rise of Nazism, JDC helped the German Jewish Community adjust to new laws and developed vocational training, schools, and emigration assistance. 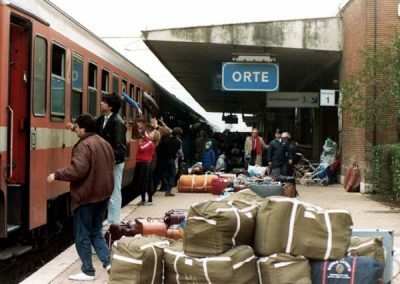 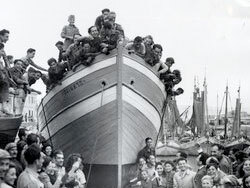 Throughout Europe, JDC sought to save lives, provide relief, and arrange rescue options wherever possible. 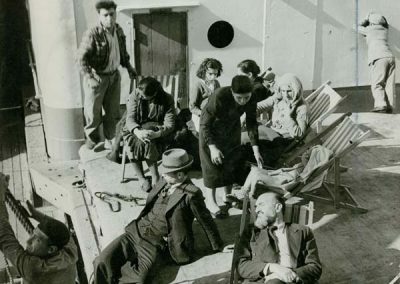 JDC operated in the DP camps, augmenting services for survivors and arranging emigration. 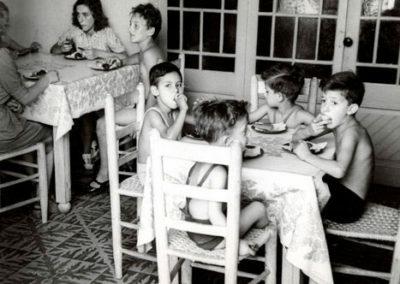 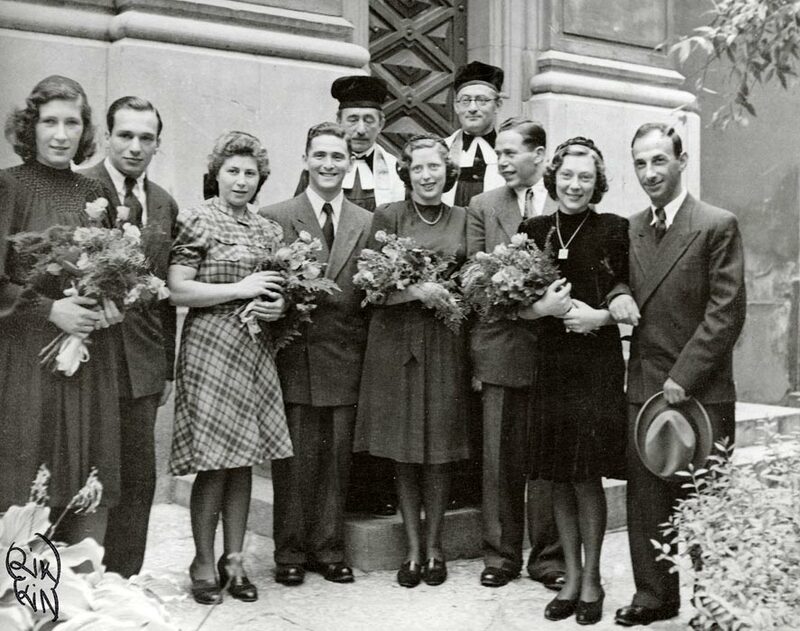 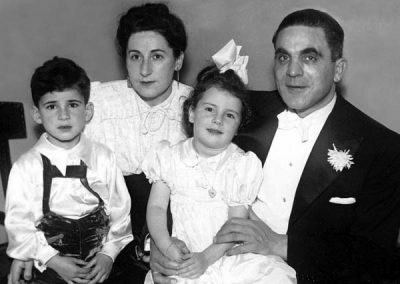 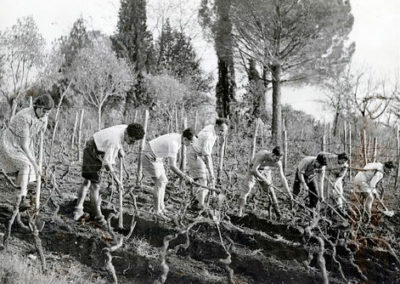 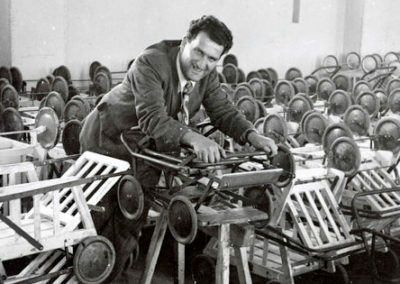 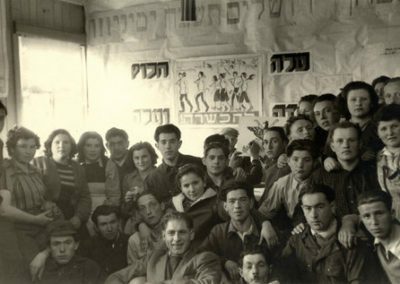 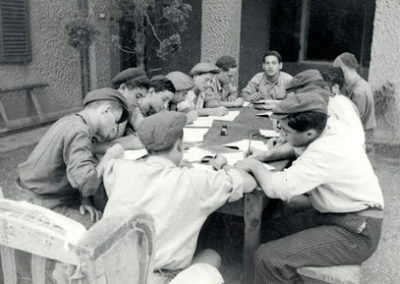 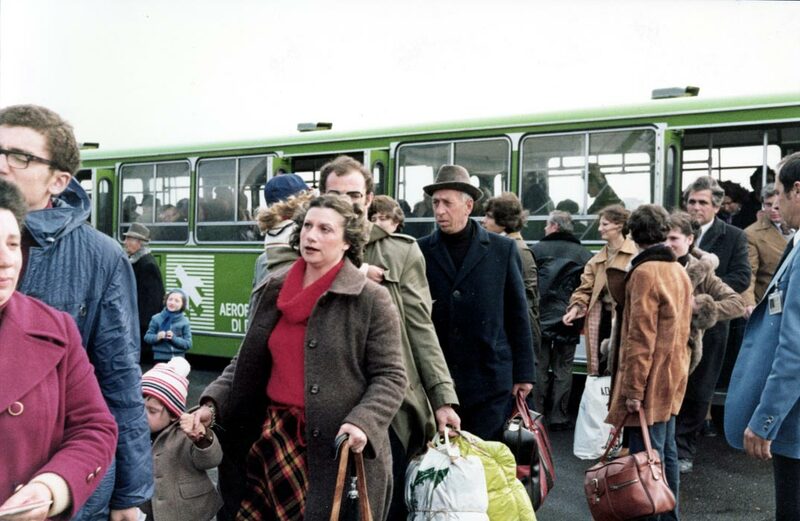 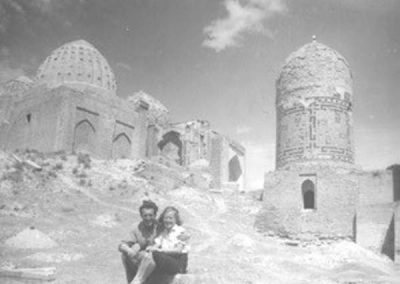 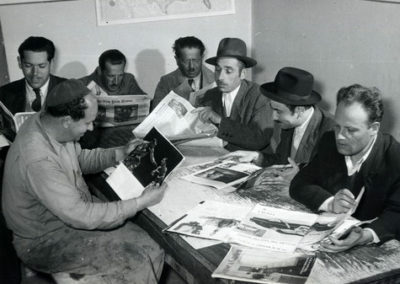 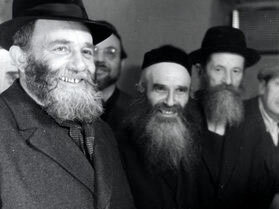 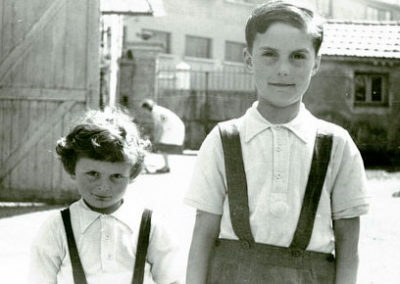 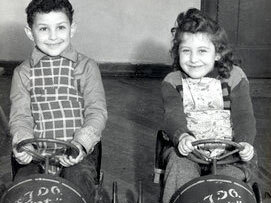 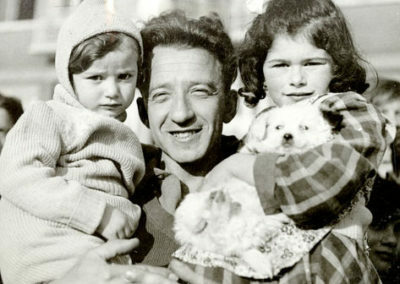 JDC helped rebuild Jewish communal life in the postwar decades, assisted French Jewry absorb immigrants from North Africa, and aided Jews from behind the Iron Curtain as they passed through Vienna and Rome en route to the U.S. JDC continues to support community development in the region. 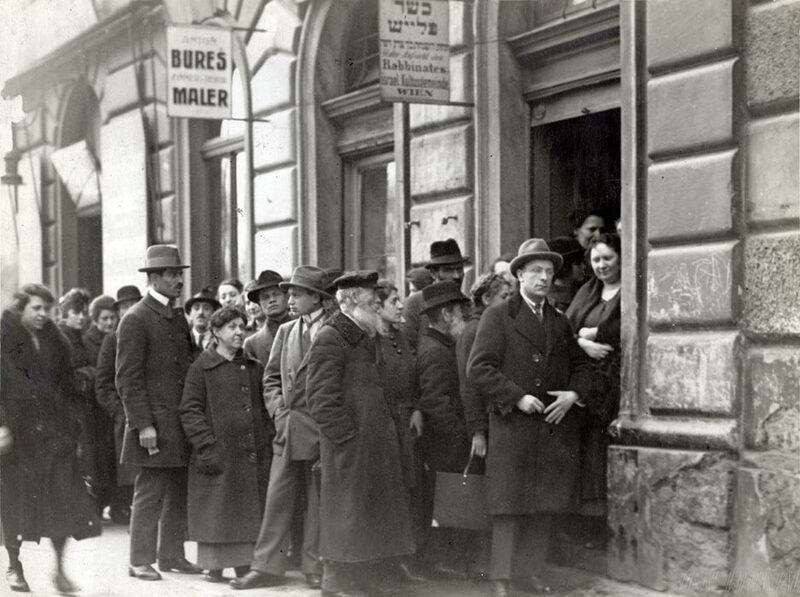 Vienna, Austria, 1920s. 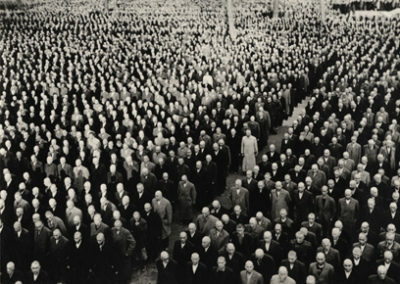 Agency: IISA Werkstatte. 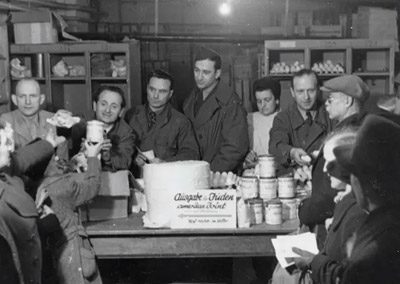 After World War I, JDC provided assistance and vocational training in Vienna to the many Galician Jewish refugees who flooded the city. 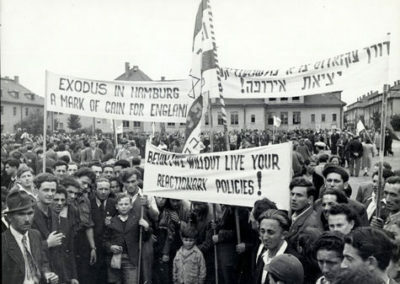 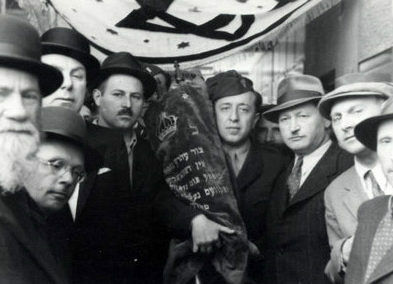 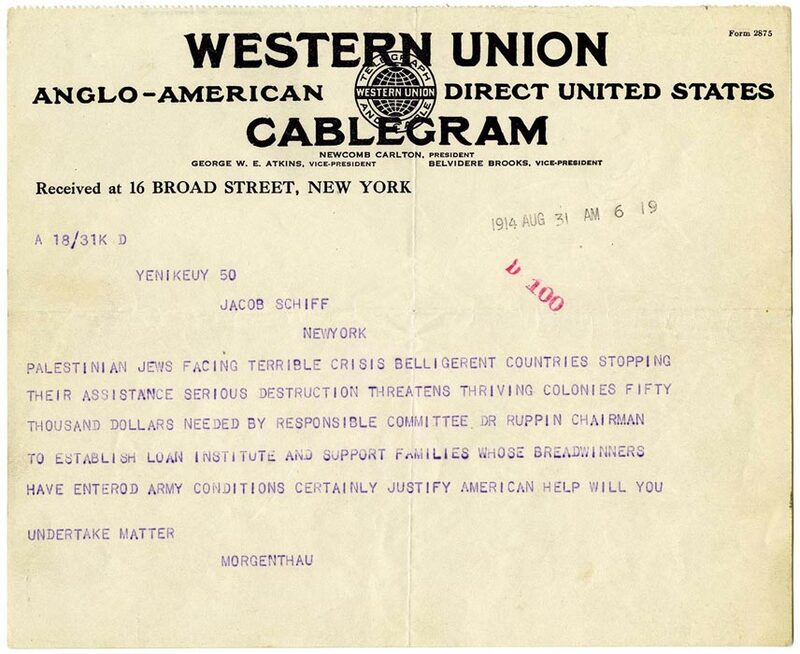 JDC sent Rabbi Reichert to Germany and Czechoslovakia to assess and report on the situation. 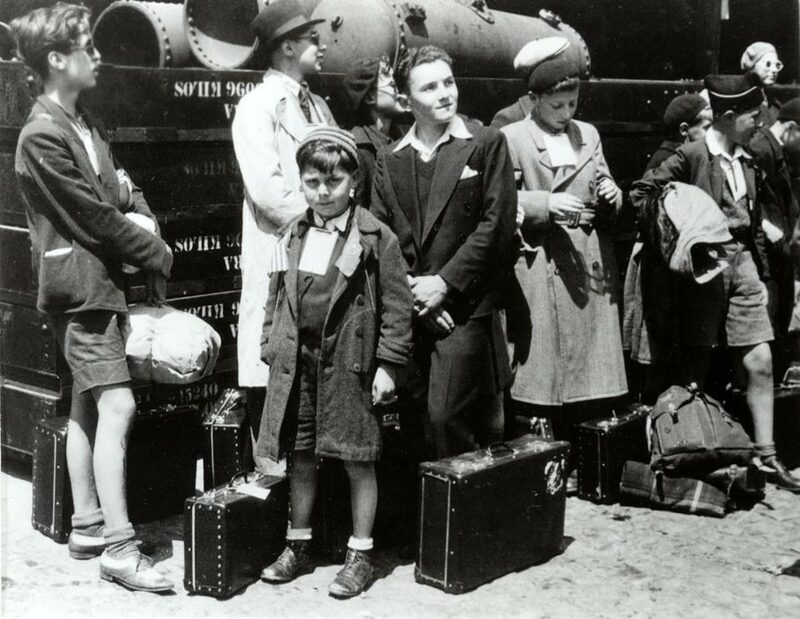 Rabbi Reichert’s message told of the urgent conditions in Germany and pleaded for assistance to save lives. 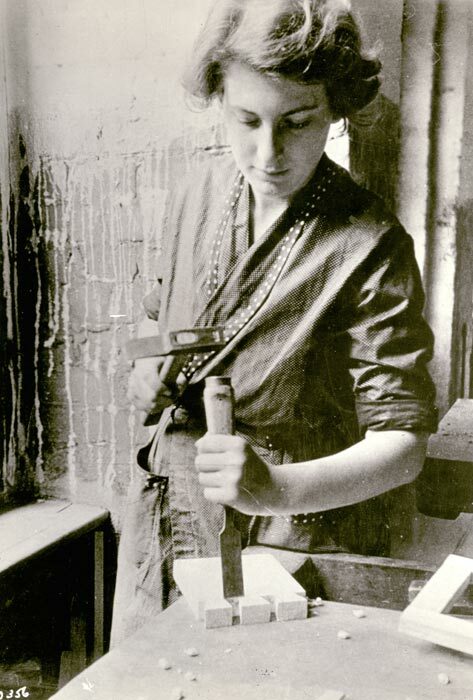 A young woman chisels a joint in a cabinet-making class. 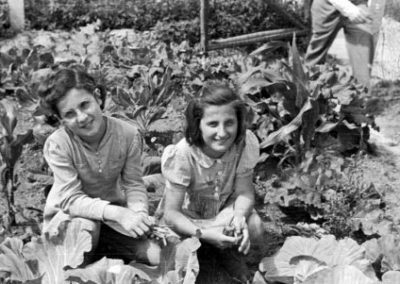 German Jews found themselves increasingly excluded from the national culture and economy following Hitler’s rise to power. 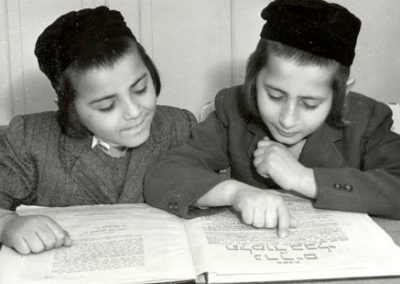 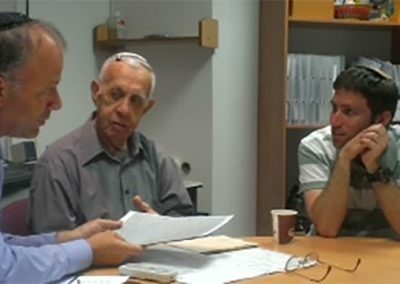 The local Jewish community, with support from JDC, provided training to give people new skills and the ability to find work. 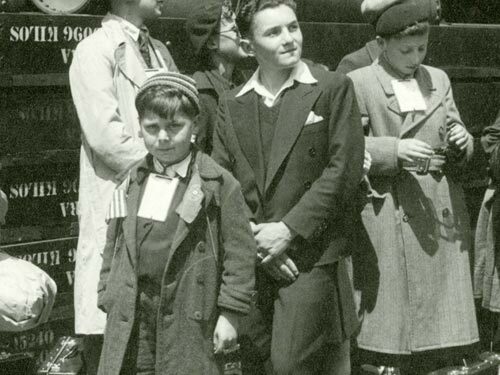 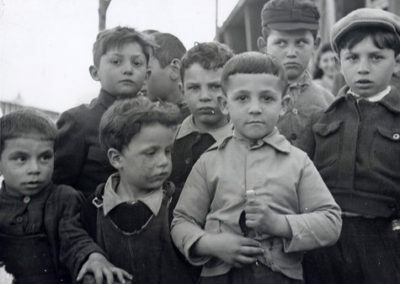 Jewish refugee children surrounded by suitcases and packages and wearing American Friends Service Committee ID tags, waiting in line to board the S.S. Mouzinho for their journey to the U.S.
JDC worked with HICEM (the Jewish overseas emigration association) to facilitate the immigration of Jewish children to the United States on special State Department visas. 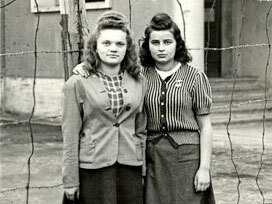 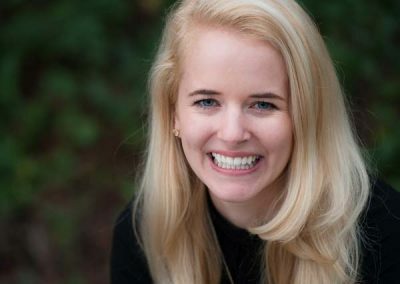 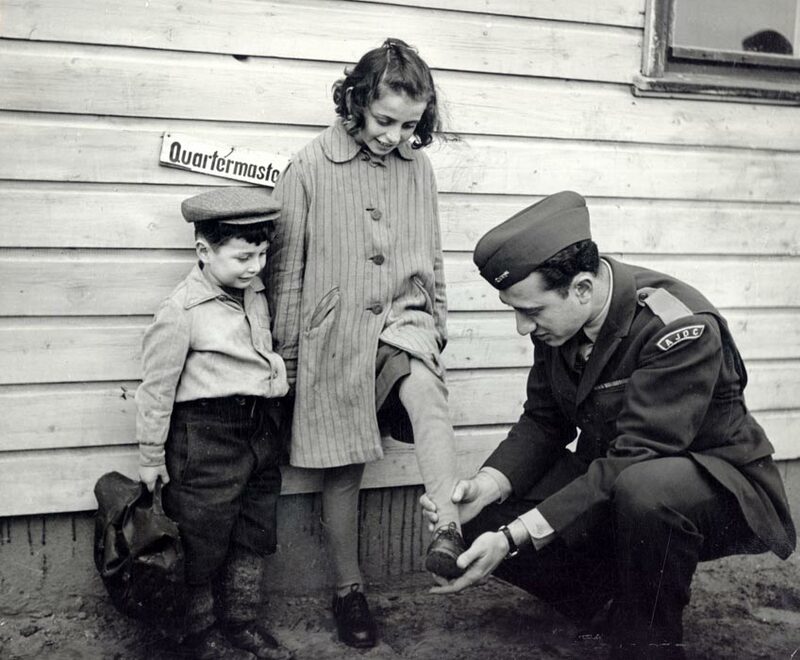 With her is Eli Rock, Chief of JDC Operations in Berlin; like all JDC staff seeking access to the camps, Rock wore a modified U.S. Army uniform with AJDC insignia. 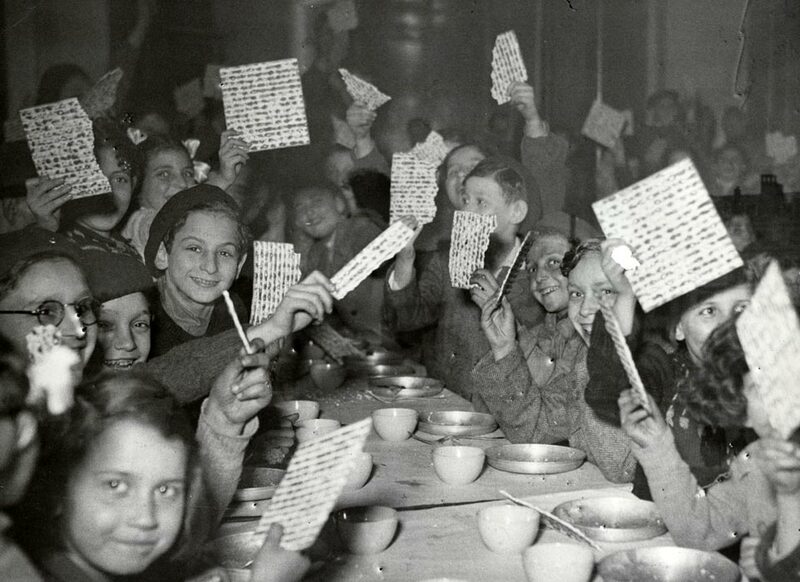 The seder was held in a children’s canteen supported by the Federation des Societes Juives en France. 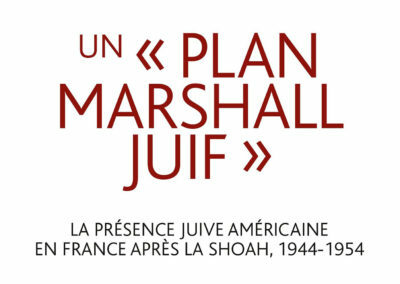 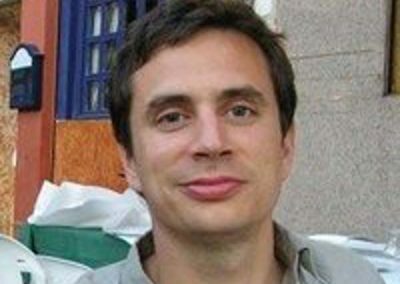 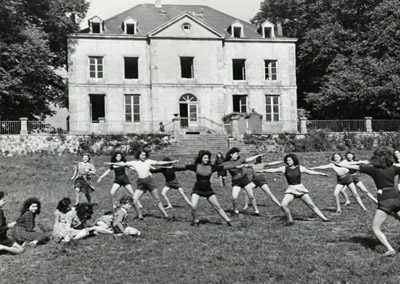 Working in conjunction with OSE, JDC funded 61 children’s homes scattered across France, supporting approximately 15,000 Jewish children all over Europe. 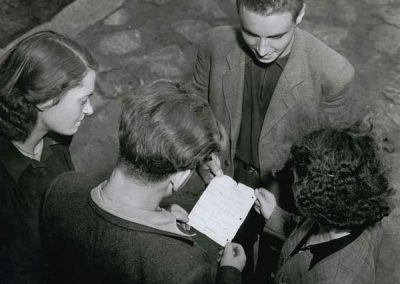 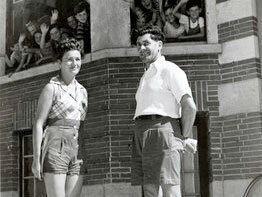 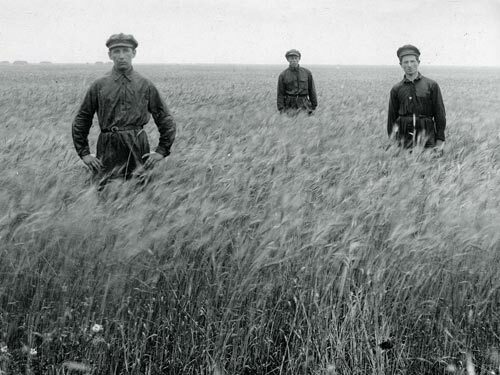 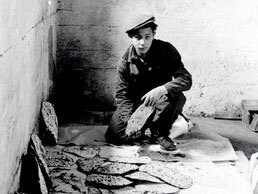 Draveil, near Paris, France, c.1948. 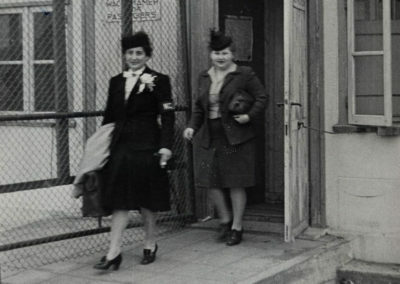 These women managed a caseload of 120,000 Jewish immigrants seeking assistance from 53 Jewish welfare agencies in France. 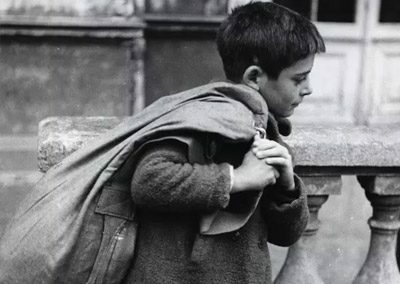 Paris, France, 1951. 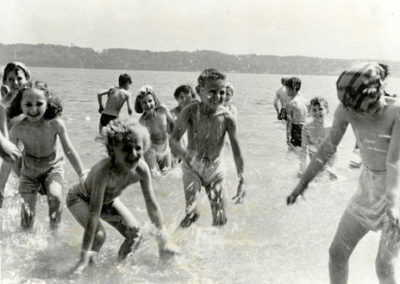 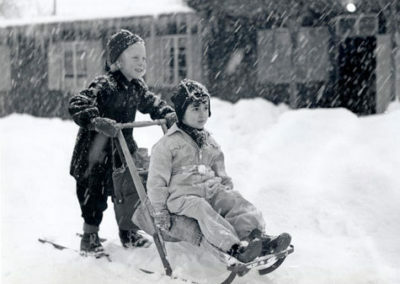 Photograph: Jerome Silberstein. 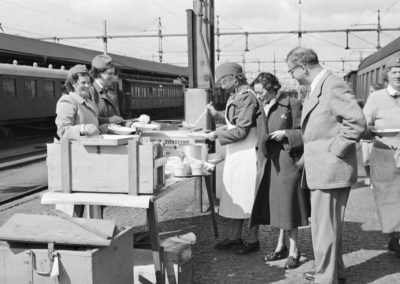 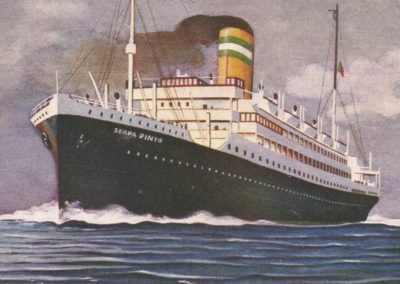 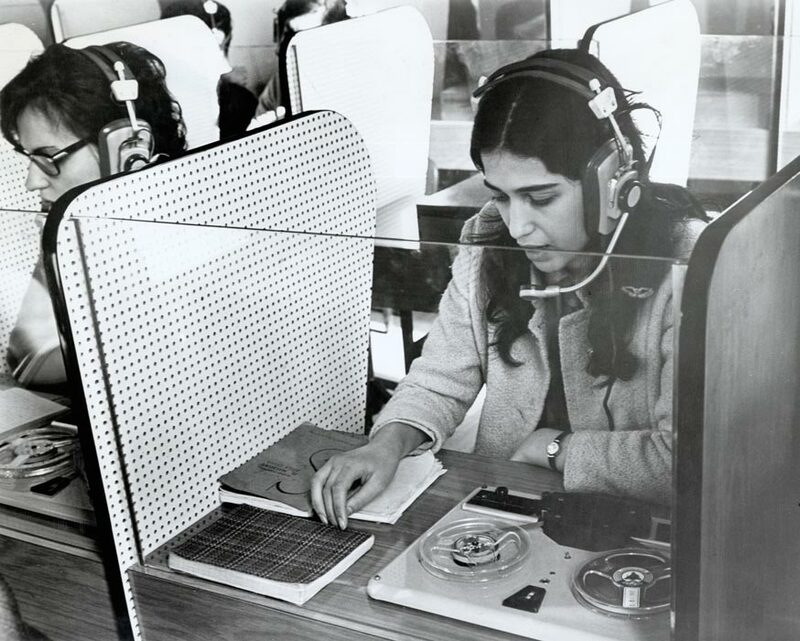 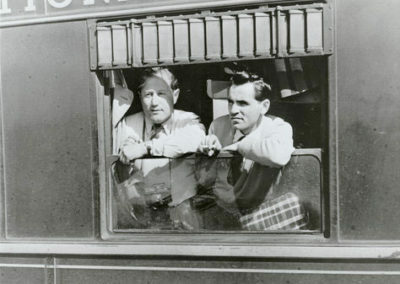 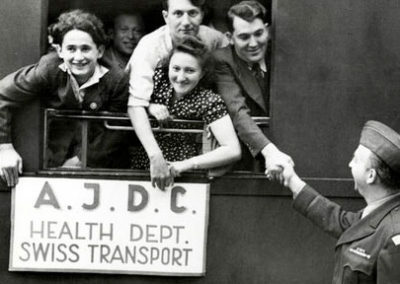 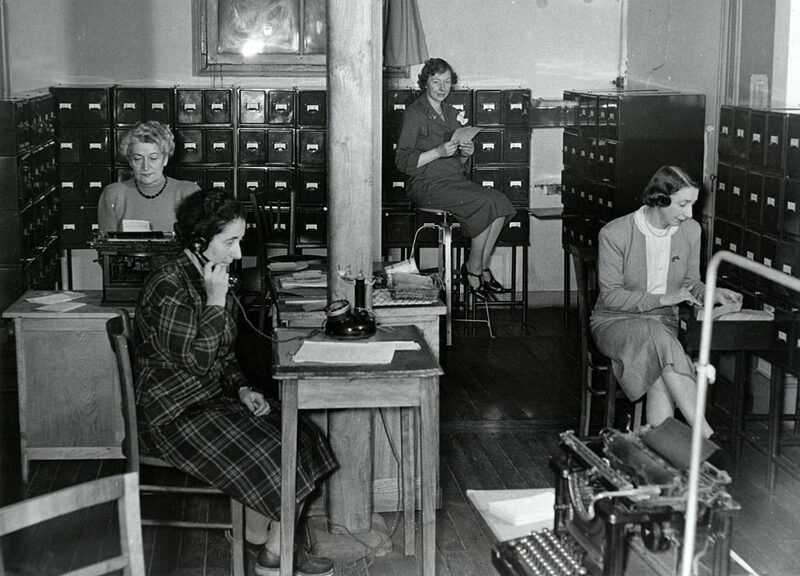 Following World War II, JDC’s Emigration Service, which operated out of offices in a number of cities in Europe, assisted many thousands of survivors to emigrate to North and South America, Palestine/Israel, South Africa, and Australia. 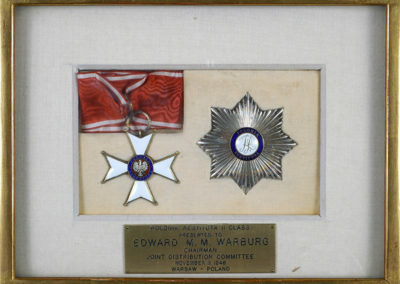 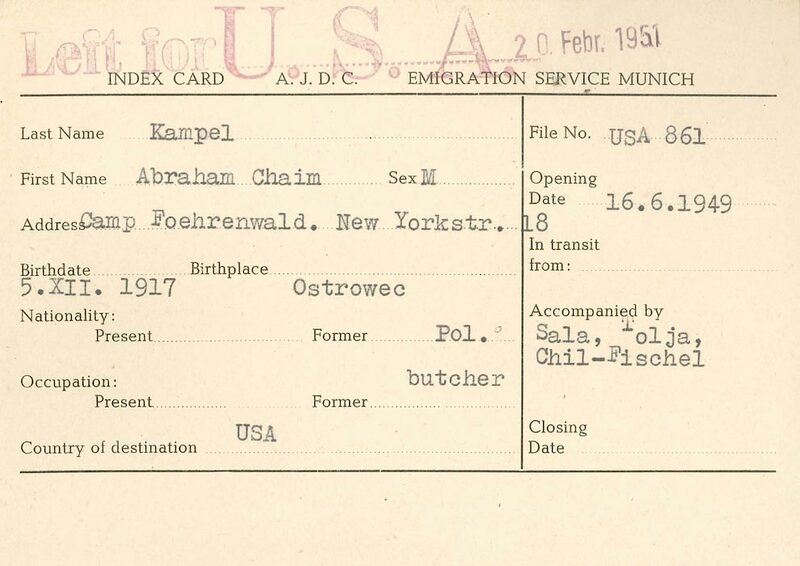 This card is for a resident of the Foehrenwald DP Camp; his case was handled by the Munich office of the JDC Emigration Service. 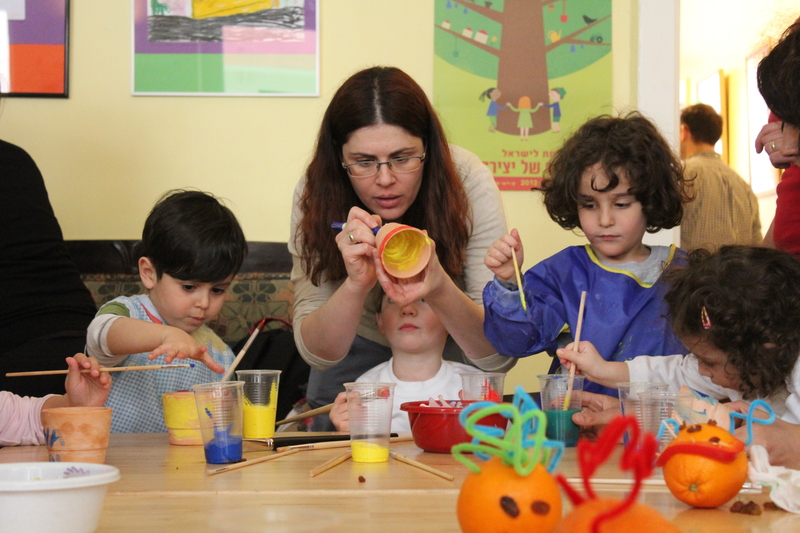 After completing their language studies in a special program supported by the JDC, the young people will go to Canada, Australia, or the United States. 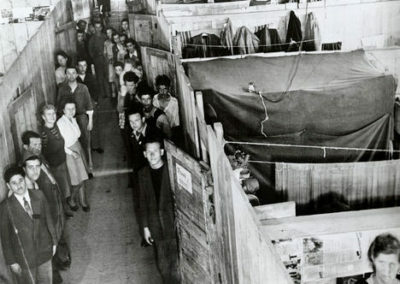 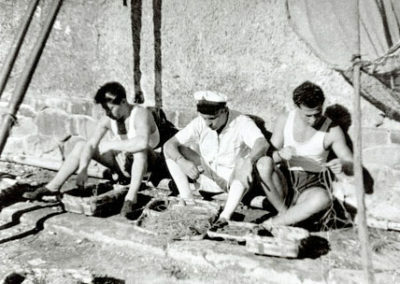 Rome was one of the main processing locations for Soviet emigres; JDC maintained an office there to provide assistance to those passing through. 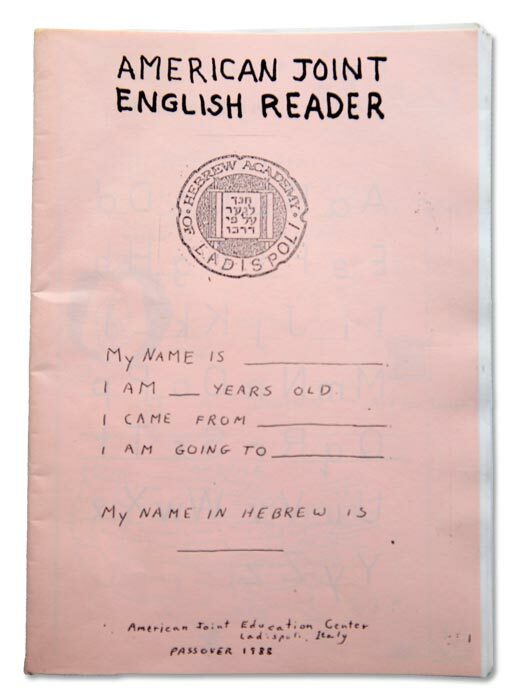 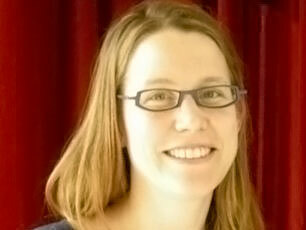 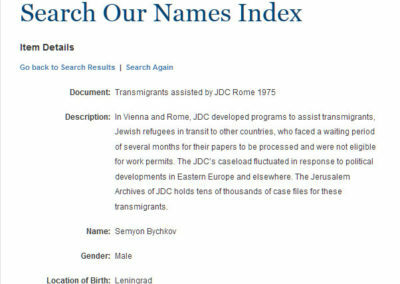 This English reader with Jewish content was created for Soviet transmigrant children in Italy. 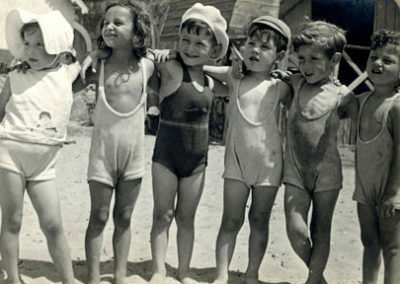 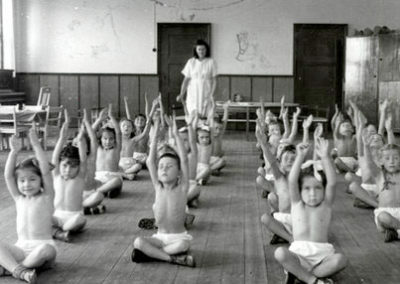 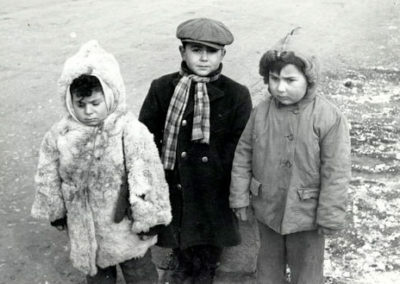 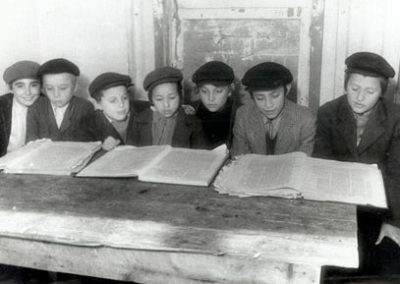 The children attended school at the Hebrew Academy of Ladispoli while they waited to immigrate to English-speaking countries. 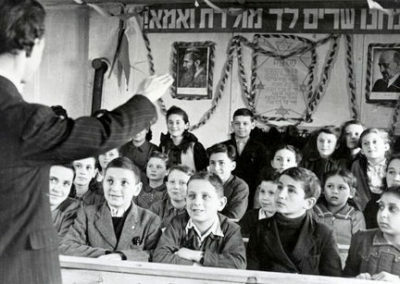 Nearly 200 participants from 24 countries attended that year’s conference, the theme of which was Jewish Education in a Multicultural Europe. 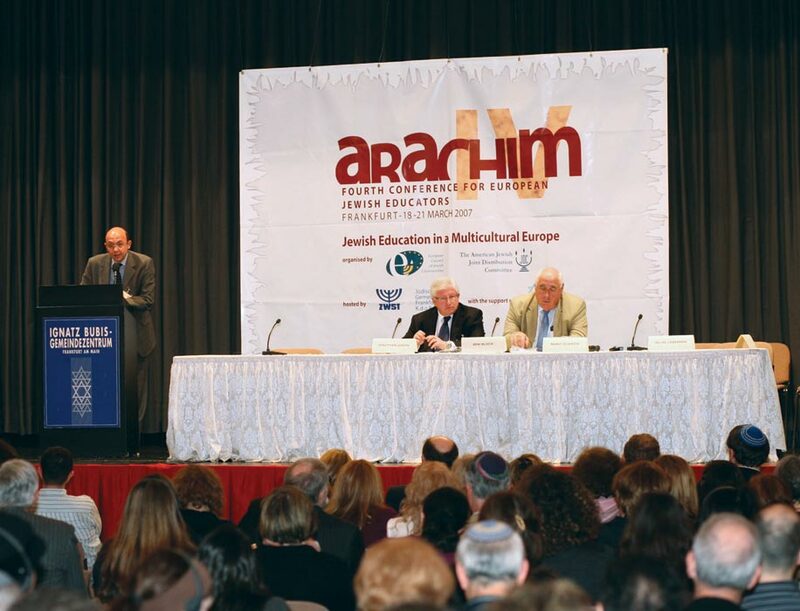 Initiated in the 1990s, the JDC-supported Arachim program brings together leading European Jewish educators to discuss topic issues. 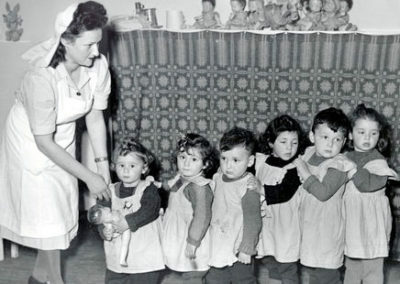 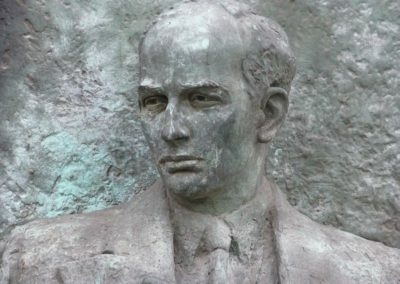 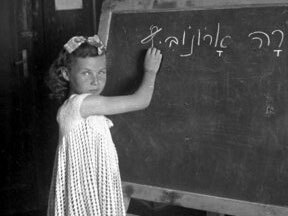 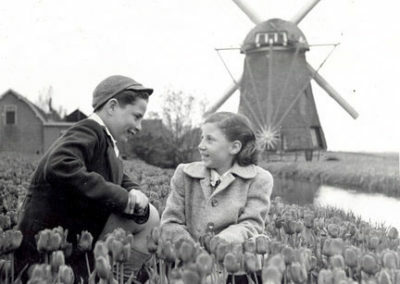 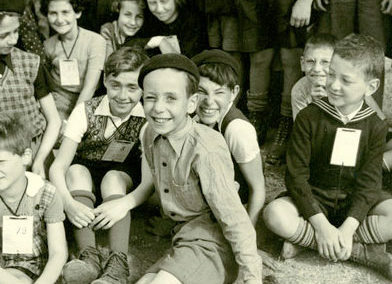 The Bambinim Center, launched by JDC, offers Jewish educational initiatives and family-oriented programs, including an early childhood program, for Soviet Jewish immigrants to Germany as part of JDC’s mission of Jewish renewal.